Molly Drewâ€™s life has taken a downward turn. Once the creator of a successful puppet on a childrenâ€™s television programme, her material covered, left hand, making her a fortune. Until her presenter partner was caught using his right hand on another man, in a very public and in an inappropriate manner. Then her partner of six years walked out on her within weeks when he became successful in a popular television drama. It all left a serious mark on Molly. Career and lover a long distant memory, she now has various part time jobs to make ends meet. But could her cousin, Squirrel, come to her rescue? He knows of a thirteen week, well-paid, stint where all she has to do is use her fine, rarely used, acting skills and pretend to be engaged to a man called Jamie who runs boxing gyms around town. He needs to get himself out of a tight corner because heâ€™s been sleeping with the wife of a â€˜bad manâ€™. In need money and wanting some distraction from her pitiful life, she takes on the job but Jamieâ€™s not all he seems. Shifty and secretive, she wants to know what heâ€™s really up to. But thereâ€™s the added trouble that her ex Sam wants to talk to her after all these years, which is spiralling her anxiety out of control. 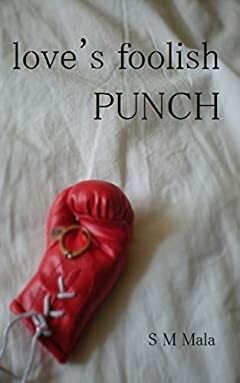 A funny adult romance about things lost and the people you find, while trying hard to avoid love's foolish punch.